About Odessa National Medical University. Odessa National Medical University “ONMU” is the largest Medical University of Ukraine and one of the Oldest Medical University of Eastern and Western Europe. September 1, 1900 Medical Faculty was opened in Odessa under the Great Russian Imperial University “Novorossysk University”. At that time world known Scientists were working for Novorossiysk University and they paid their great attention to Medical Faculty in Odessa. Before opening of medical faculty in Odessa, the new buildings were built for Classes and Clinics by great architectures of Russian Empire. The Scientists of Medical faculty of Odessa played the great role in achievements in medicine to provide high standards medicine in Ukraine and Russia. In 1922 Medical Faculty of Novorossiysk University in Odessa was reformed and was given the Status of Higher medical Institution and was renamed to “Odessa Medical Institute”. 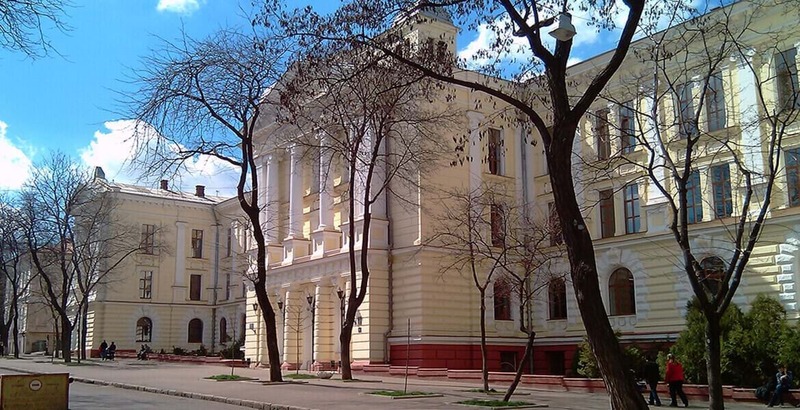 After independence of Ukraine 1993 Odessa medical Institute was given highest 4th level of Accreditation and was renamed to “Odessa State Medical University” and in 1997 got the National status and was renamed to “Odessa National Medical University”. Odessa National Medical University was the first among medical universities in Ukraine who got the National Status in Ukrainian Medical Universities. Odessa National Medical University is the most prestigious medical university in Russia, Ukraine and Europe to study Medicine, Dentistry, Pediatrics, Pharmacy, Nursing, Postgraduate Education and Clinical residency program. Odessa National Medical University is one of the members of International and European Associations of universities and The United Nations Educational. Today ONMU remains one of the leading medical universities in Ukraine. It is a member of the International Association of Medical Universities and the high standards of training at the institution are well recognized throughout Europe and America. Odessa is the most charming city in Ukraine! As a tribute to its charm, eight cities in the US, two in Canada and one in Brazil were named Odessa. There’s also Lake Odessa and even Odessa the planet somewhere out there in the cosmos. However, none of these tributes shine as vibrantly as Odessa, Ukraine: The Pearl of the Black Sea! The economy of Odessa is largely based around its traditional role as a port city; during the Soviet period the city was home to the USSR's largest trading port, a role which it still retains today as independent Ukraine's busiest international port. Odessa also has a well-developed system of inter-urban municipal roads and minor beltways. Intercity bus services are available from Odessa to many cities in Russia, Germany, Greece, Bulgaria and several cities of Ukraine and Europe. OSMU is the only university of Ukraine, which is a member of MEDINE (Medical Education in Europe).The Thematic Network on MEDINE addresses educational, institutional and quality issues in European medical education within the framework of European initiatives. This project is being carried out with the support of the European Community. ONMU is listed both in the WHO Directory of Medical Schools (known also as AVICENNA Directory for Medicine) as well as the IMED of USA. By virtue of being listed in these 2 directories, ONMU is recognized by the medical councils of all the countries in the world. The UG course in General Medicine is of 6 years duration and is conducted in English / Russian / French medium. Those who adopt for course in Russian Medium shall undergo Preparatory course (Russian language course) of one year duration, which is in addition to 6 years. After completion of 6 years of UG course student is conferred with “MD Physician” degree, which is equivalent to M.B.B.S in India. ONMU has more courses in English Medium than most other Universities in Ukraine. In addition to the Under-Graduate Degree courses in Medicine and Dentistry and several specializations for Post-Graduate Medical Education. The studies are carried out in accordance with the new syllabus, which was issued in 1996/1997. Within the week there are 5 working days; Saturday and Sunday are off days. The studies are scheduled from 800 to 1600 hours. The student’s working week comprises 54hours, within this time period there are 36 lecturing hours and 18 hours for independent work. Testing practical proficiency (when exams on clinical disciplines are taken, testing takes place at the patient’s bed side). Odessa National Medical University Fees.